Today I had the pleasure of sharing post-yoga snacks at the grand opening of Rise Power Yoga in Princeton. The owner of the studio, Annie, invited me to provide treats for hungry yogis after a two hour special class. I'd never catered an event like this on my own but I was inspired to rise to the occasion ;-) It was a special celebration and I am overjoyed to be a part of it. Most of the yoga teachers that have gone on to start their own studios in the area have roots in the space that Rise occupies. Today Annie shared how she first taught in Princeton years ago at this space that was Yoga Above and when it closed had a vision to breath new life and energy in this already vibrant community. Rise Power Crispy Treats -- inspired by the 5-Ingredient Recipe from Healthful Pursuit. I made two batches, one with added melted dark chocolate vanilla and chia seeds, the other with maca roots and vanilla sun warrior protein. Raw Vegan Cookie Dough made into Truffles with Coconut, Cacao, Goji, and Traditional Chocolate Chip, inspired by Oh She Glow. Using four batches as the base, I made four different kinds by rolling them in different toppings. My favorite was a crumble I made from organic goji berries, muldenberries, golden berries and raw cacao, although I ran out of the vanilla coconut balls so that may have been an audience favorite. Two kinds of kale chps. 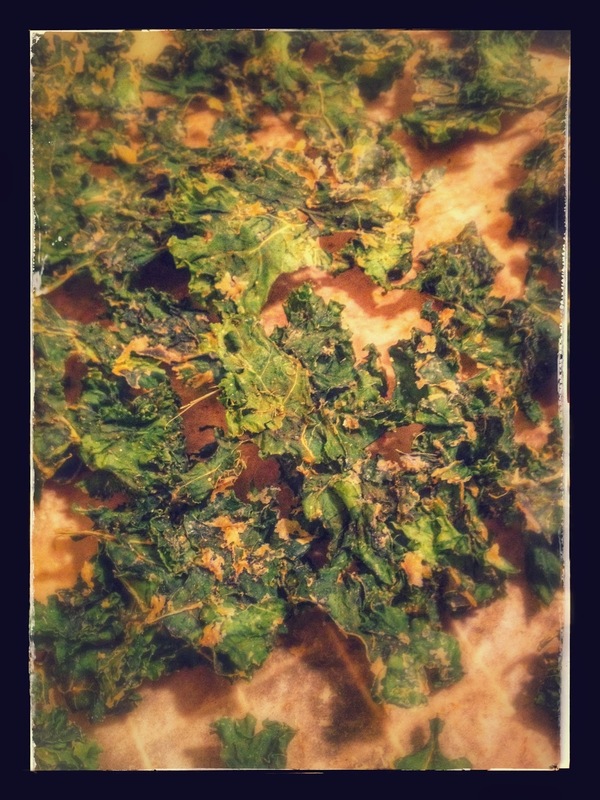 One double batch of Pumpkin Spice Kale from the awesome Fragrant Vanilla Cake blog and a double batch of my own standby super-yummy raw kale mixed with cashew cheez and sriracha.